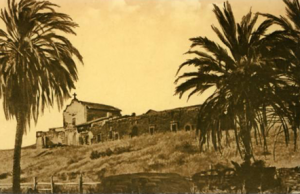 Mission San Carlos Borromeo del Carmelo, also known as Carmel Mission, was the second mission founded by Father Junípero Serra in California. Considered by many to be the most beautiful of all the California missions, it was founded in 1770. Mission San Carlos Borromeo del Carmelo, also known as Carmel Mission, was founded June 3, 1770 by Father Junípero Serra at the Royal Presidio of Monterey Bay. The mission was named for Saint Charles Borromeo, Archbishop of Milan, Italy, in the 16th Century. 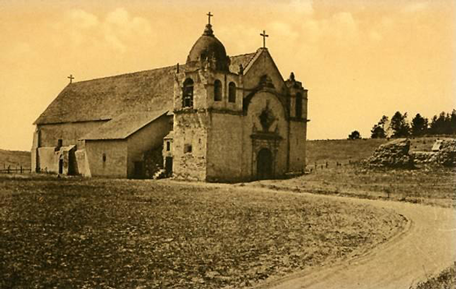 In 1771 the mission was moved to another location, near the “Rio Carmel”. Carmel Mission was the second mission founded by Father Junípero Serra in California. 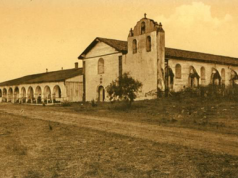 The present stone church was begun under President-Padre Fermin Francisco de Lasuén in 1793 and built with native sandstone coming from the nearby Santa Lucia Mountains. 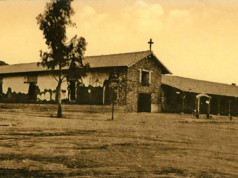 It was dedicated in 1797 and replaced the original adobe church. 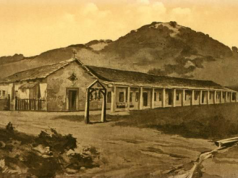 The mission served as mission chain headquarters between 1770 and 1803. From Carmel Mission, Father Serra looked after the growing chain of missions until his death in 1784. He is buried within the walls of the original adobe church around which the new stone church was built. In its beautiful setting against the sea and river, and with its strong sense of history and appealing architecture, Mission San Carlos Borromeo is considered one of the most beautiful California missions and satisfies the student and the visitor as no other mission can. Secularized in 1834 the mission was returned to the Catholic Church in 1859. Major renovations were made in 1884, 1924 and 1936. The beautiful Moorish tower still visible today is a perfect example of the early architectural Spanish influence.